Don’t let him fool you, even for a second. 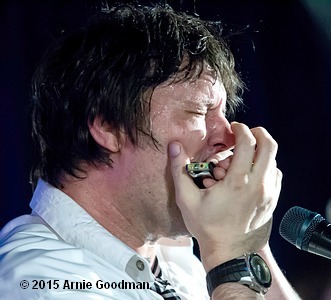 Jason Ricci may call himself ‘the Richard Sherman of the blues,’ but he’s really not. Sherman has gained a fair amount of notoriety by being an arrogant trash-talker who seeks out the spotlight around every corner. Ricci is not arrogant, does not talk trash and is not the least bit interested in having the bright lights of fame follow him 24 hours a day. Having said that, there are certain similarities between the two gentlemen, including being among the very best in the world at what they do. Sherman, an All-Pro cornerback for the Seattle Seahawks is one of the best players in the National Football League. 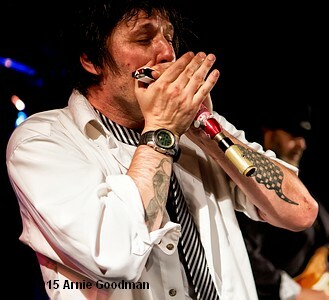 Ricci, at 41-years-old, is now a seasoned veteran of the blues scene and is rightfully heralded as one of the most innovative and creative harp blowers around. Another common denominator between the two; both Sherman and Ricci have never been afraid to speak their minds, nor do they mind tough questions being aimed in their direction. Things definitely appear to be on the upswing these days for Ricci. Not only does he seem truly happy, he’s also clean and sober and looks to have his life firmly – and finally – back on track. Then, there’s also the little matter of a recent Grammy Award. 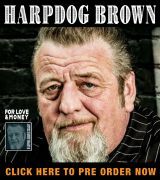 While being bestowed with a Grammy and getting to step into the shoes of the mighty Paul Butterfield have to be unbelievable coups for any musician, and while Ricci is extremely touched and humbled by both honors, that’s merely just the tip of the iceberg as to why he’s so upbeat and positive in early 2015. Another reason for Ricci’s optimistic view of things these days owes quite a bit to his newest group, Bad Kind. Another departure for Ricci is the inclusion of two guitarists in Bad Kind. All the wild musical excursions that New Blood helped write the book on are – at least temporarily – mothballed in the set-lists that Ricci and Bad Kind are currently prepping. Ricci’s new collective has certainly energized him, and his enthusiasm for Bad Kind and their abilities is more than palpable. That’s a far cry from where Ricci found himself physically, emotionally and spiritually, just a couple of short years ago, when his outlook on the future may not have been nearly so positive. That initial sense of relief soon enough turned into a case of Ricci determining that he’d had enough (“I didn’t get all I wanted, I never will. But I got all I could stand,” he said) – once again. And once again, instead of giving up and throwing in the towel, Ricci picked himself back up, dusted himself off and decided to move forward. So just where does the inner strength and conviction to give sobriety another go-round come from? Another area of his personal life that he’s never shied away from is his sexuality. Ricci is openly gay and has never tried to hide that from the rest of the blues community. But while he doesn’t hesitate to discuss it, his intentions on coming out were never really to blaze any trails or to become some sort of a martyr. While silence may be golden for the members of the male blues community that are not straight, that’s hardly been the case when the females are concerned. Born in Portland, Maine, Ricci’s first real taste at being in a performing band came filtered through a puck rock influence, while he was still a teenager. Although he may not play a ton of that kind of music on the bandstand these days, Ricci says that punk rock and the blues are kindred spirits. Ricci is trying his hardest to maintain a level of that all-important sincerity in the music that he crafts, and as such, he has certain rules that he follows. 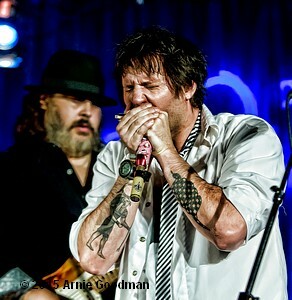 Ricci cites a couple of pivotal events when he was a young man as ones that helped to send him down the path to playing the blues for a living. Not only did his mother take him to see James Cotton, but she also had a few blues albums in her collection that caught young Ricci’s rapt attention. The reason that Ricci picked up a harp in the first place was to keep a spot in the punk band that he was singing with at the time. 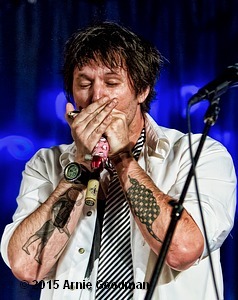 When it became evident that his band was not going to let him play guitar with the group, Ricci quickly switched gears and started taking some harmonica instruction from the gentleman that was also teaching him the six-string. By the time he was 20 years old, Ricci was calling Memphis home. That’s where his blues DNA received another jolt, in and around the juke joints of Holly Springs, Mississippi, where he played, partied and lived with members of the Junior Kimbrough and R.L. Burnside families. It was there that Ricci learned the only way forward was to just simply be himself. His time playing with the Kimbroughs and the Burnsides took place in the mid-90s, before either Junior or R.L. were household names in the blues realm. 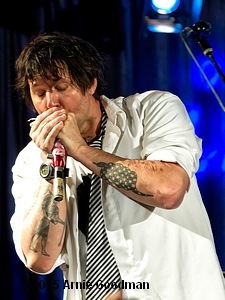 During his Indiana-based confinement the past three years, Ricci has made productive use of his time by teaching harmonica via Skype. 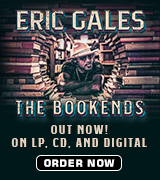 Back in the day, a call from Big Al and the Heavyweights turned out to be Ricci’s first real taste of life traveling up-and-down the blues highway. The reverence and respect that he still has for his one-time mentor – Al Lauro – is one reason that Ricci is planning a move back to his old stomping grounds of Louisiana in the near-future. “That is one of the main reasons we’re thinking about moving there. Al’s been like a father to me. We’ve had our differences over the years, but who hasn’t had their differences with someone they really care about?” asked Ricci. Looking back on it now, Ricci realizes that there was so much that he missed out on during his first go-round in the Crescent City. You can bet if he gets chance number-two to reside there, things will be a lot different. Clear-headed and sober, now more than ever, the sense that he belongs to a community is something than Ricci really yearns for. Ricci is also intent upon giving back to the community he lives in this time around. At the end of the day, regardless of what he does for a living, or even where he lives, the fact that Jason Ricci has once again broken free of the shackles of addiction that have tormented him for so long is indeed remarkable. Hopefully, his continuing road to recovery can serve as an inspiration for others who need a helping hand in what may their darkest hour. Visit Jason’s website at www.mooncat.org.